Manchester City crashed out of the Champions League on away goals after a 3-1 defeat (6-6 on aggregate) to Monaco in their last-16 second leg on Wednesday. A desperate first-half display at the Stade Louis II saw the visitors squander their two-goal first-leg advantage earned from a 5-3 win at the Etihad two weeks ago. Kylian Mbappe and Fabinho gave the hosts a deserved 2-0 lead as City struggled to cope with Monaco's attacking brilliance. 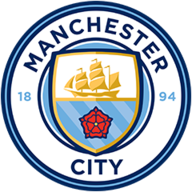 Pep Guardiola's side improved markedly after the break and looked to be heading into the last eight after Leroy Sane's 71st-minute strike put them 5-6 ahead on aggregate. But sloppy marking from a Thomas Lemar set-piece allowed Tiemoue Bakayoko to head in Monaco's crucial third goal six minutes later. The 3-1 victory on the night ensures Monaco advance to Champions League quarter-finals, while defeat means Guardiola has failed to reach the semi-finals of the competition for the first time in his managerial career. The City head coach, taking charge of his 100th Champions League game, made good on his pre-match promise to field an attacking line-up but watched on as his side were completely outclassed in the first half. Monaco shrugged off the absence of Radamel Falcao, who scored twice at the Etihad but was unavailable on Wednesday due to a hip injury, to take the lead through the lively Mbappe. Willy Caballero smartly saved from the 18-year-old forward after just seven minutes but City failed to heed the warning and fell behind when he poked home from Bernardo Silva's cross. It was Mbappe's 11th goal in his last 11 appearances in all competitions and another reminder of his considerable potential. 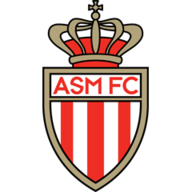 The assistant referee's flag correctly denied him a second a few minutes later but it was only a matter of time before Monaco made their pressure count again. They did so through Fabinho, who timed his penalty-box run to perfection to fire first time past Caballero after excellent work by Benjamin Mendy. It capped a dominant opening 45 minutes by the Ligue 1 leaders as their Premier League opponents failed to register a single shot on Danijel Subasic's goal. A tactical tweak by Guardiola at half-time shifted the ineffective Kevin De Bruyne into a deeper position and it contributed to a much-improved City performance. They carved out five chances in a 12-minute second-half spell before eventually scoring what looked to be a crucial away goal through Sane. The Germany international had gone close moments earlier when he reacted quickest to turn home from close range after Subasic kept out Raheem Sterling's low drive. The Monaco goalkeeper, whose first-leg mistake allowed Sergio Aguero to get City back into the tie at the Etihad, banished those demons with a fine stop to deny the Argentine. And his side, who in the second half were a shadow of the team that harassed City so effectively in the first, snatched their vital third goal with 13 minutes to play. Lemar whipped in a dangerous delivery and Bakayoko drifted off Aleksandar Kolarov to plant his header past Caballero's despairing dive. Guardiola introduced Kelechi Iheanacho as City searched in vain for the late goal that would have sent them through but it was not to be. The result means Leicester City are the only Premier League team into the Champions League quarter-finals, with the draw set to take place on Friday at 11am.